Do you want more sales, and leads? Enter in your website address below if you need to grow your businesses revenue. As a leading Spokane SEO & Web Design agency, we work on our client’s behalf to grow their customer base through digital marketing. 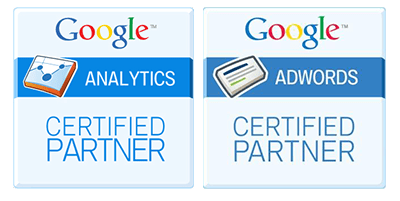 We have been helping to increase the revenue and exposure of both local and national companies since 2009 by boosting website visibility in major search engines like Google, Bing, and Yahoo. We accomplish this is by implementing a series of strategic changes to your website which increases its topical relevance and broadens its online reach. We then accompany these on-site changes with carefully crafted link acquisition and paid media campaigns which results in more targeted and local traffic into your website. Enleaf has been helping businesses grow since 2009. 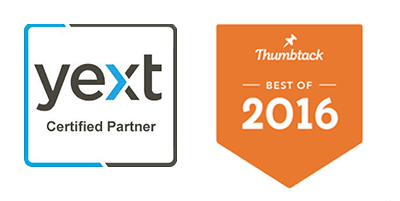 The International Business Times rated us as one of the top 10 Search Engine Optimization Firms. Search engine optimization is a holistic process by which your website is made more attractive to Google, Bing, Yahoo and other search engines. This increases how well your website ranks for particular search terms that your potential customers enter into the search engine when they browse the internet. The higher you rank; the more people see your website for the queries you’re targeting. That brings in more traffic, which leads to more leads and more sales. We start our campaigns with a complete audit of your website, and find out what search term you’re ranking for and which ones you aren’t. We’ll look at your site and see if there are technical issues that have to be resolved. We’ll also examine the links that point to your site elsewhere on the internet, and see if any need to be altered or removed. We’ll also find out what it is your business can get out of a marketing campaign. You may be best-suited for local search engine optimization improvements, driving more foot traffic, or may simply benefit most from more phone calls. 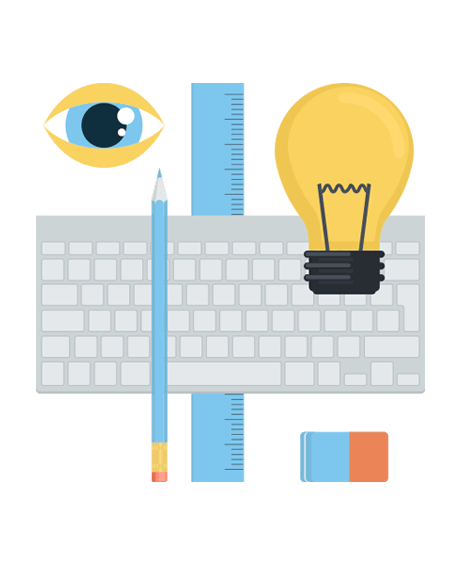 From there, we’ll walk you through the technical issues that need to be fixed, and outline what can be done to improve your sites on page optimization. We can create unique, thrilling website content that will delight your customers and help improve rankings and move people further into your sales funnel. We will cultivate your link profile, to ensure that your site is getting the traffic it deserves. We will also get your site ready for mobile. In today’s world, optimizing mobile and for voice search is more important than ever. You cannot afford to neglect your site’s mobile performance. We’ll make sure you rank and are easily found by mobile customers as well as desktop. Need data? You’ll get it. We will also provide as much data as you want, as a data-driven approach is at the core of how Enleaf does business. We will provide in-depth, custom analytics that will drill as deep as you want to prove where your spend is going. Are you just getting started with website development or possibly you spent a lot of money for a site that looks good but that’s not attracting any real traffic? Unfortunately, we see this all to often and the sad reality is that even the best looking website is useless without traffic. That’s why all of our sites are built specifically with search engine optimization in mind. With every site we develop, we integrate conversion rate optimization (optimized for sales), on page optimization and user experience and usability best practices. Our websites codebase is always optimized for speed and for mobile responsiveness and we leverage customized analytics reporting in order to give you a complete picture of how your website is performing online. We do all this while maintaining a site that is aesthetically pleasing and user-friendly. Return on Investment is what every business ultimately wants to see when hiring a search marketing agency. Determining return on investment can vary from client to client but in most cases ROI is dependent upon the primary KPI you wish to achieve. For most, a return on investment is measured by the fulfillment of a specific goal defined in the research and discovery phase of your campaign. Goals that are normally associated with targeted traffic include, subscriptions, repeat visitors, email list opt-ins, converted customers and more. While results vary from client to client we have been able to achieve anywhere from 100% – 900% ROI for customers within the first 12 months of organic digital marketing. When doing digital marketing, there is no set destination. Of course, you want your content to rank on Google’s first page, but you will find that what you learn along the way is worth more than only a high search ranking. Even for beginners, you can start noticing results in just a few months. If you implement search engine optimization properly, you can see some impressive results in about 3 or 4 months. Furthermore, the results you get after a year of using SEO will crush what you had at 3 months. This is all for not if you don’t put in work though. It takes days, upon weeks, upon months of dedicated time if you want to see massive results. If you are like most you are already extremely busy running the day to day and handing the ins and outs of your business. Dedicating the time required to develop your sites marketing and improving your on page search engine optimization may just not be an option. This where our experts can help. Our specialist can help oversee your site’s optimization and keep your site ranking high. You don’t have to do months of grueling research and testing to figure out how SEO works. Help from our specialist can get your site to rank higher and faster. How long it takes varies but having an expert taking care of day to day operations definitely speeds it up. Can you get SEO done cheaply? Sure there are some barging basement internet marketing companies out there but this doesn’t mean cheap is good. So how much does SEO cost? A lot of our customers come to us after getting burned by low budget marketing companies selling cookie cutter services that end up causing more harm then good. No business is the same so we do price our services based upon your business’s target niche, online authority, and how fast you want to see results. 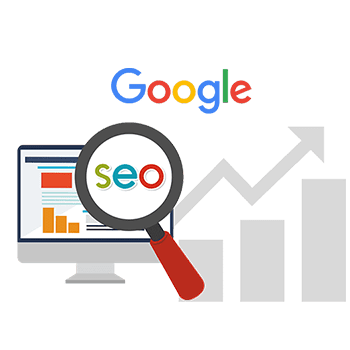 If an another SEO service seems too cheap, then chances are they wont be able to get the results you are looking for and will have waited both time and money. Across the industry reputable SEO services typically cost anywhere from $1000 to $10,000 a month. Ultimately the price you pay for SEO should correlate to how competitive you want to be along with how valuable your cost per customer acquisition is. High-end businesses looking to be competitive will often pay upwards of $6,000 a month for SEO. Meanwhile, small companies can get away with paying much less for SEO, especially if they have less competition. No matter what, here at Enleaf when evaluating pricing the business’s needs are always taken into consideration before a price is formulated. Branding and design are increasingly more important to clients using the Internet to find services. A design that stands out defines your business. A beautiful website is a great place to start in this branding process. Quality website design is more important than ever since 80% of the world’s population is now online. Having a poorly built website or no website at all can mean the difference between business failure and business success. If you want new customers then you cannot overlook Internet marketing. Dollar for Dollar it is the best way to advertise your business. Traditional marketing rarely gets you the quality of leads and ROI that digital marketing can provide. If you aren’t using social media to drive business to your website, then you are missing out. There isn’t a better free platform to garner leads and we can help you harness it. We have social media professionals that can build your brand online. The web has gone mobile. It has been said that 40% of all online searches are conducted from a mobile device. If your website is not yet mobile friendly, it is costing you customers. A responsive website design adapts to any device mobile or not and makes it pleasing to the eye and easy to read. Already have a website? Is it outdated and stale? A new website design can help freshen up your site making it more appealing to customers. If you aren’t reaching your target views and your stats and click-through aren’t where they should be, then a website re-design is in order. Responsive Design means your site will work on any device or browser. Responsive mobile friendly website design responds to and adapts to a user’s device. Whether that user is on a smartphone, tablet, or desktop computer a site that is responsive will adapt its look design and interface to maximize usability. To date, 58% of America’s Internet users are choosing tablets or smartphones as their primary browsing device. If your site is not yet mobile friendly you are likely losing valuable business. 1DesignEvery company has a story. We can help you develop a brand identity that is impactful, resonates with your customers and emphasizes the mission of your company. 2DevelopA poorly designed website has an enormous effect on your credibility. Your website should not only be well designed visually but also have easy to use and well-designed navigation. 3OptimizeMonth after month, you can count on Enleaf to bring you brand new customers and help you be found online. In fact, with our website optimization services, it’s almost impossible for your customer to NOT find you online. Enleaf has been offering Spokane SEO and web design services since 2009. We are centrally located in downtown Spokane with satellite co-working offices in Liberty Lake, WA. While our initial client base started out and continues to be in our own backyard, we have had the privilege of working with companies that operate all over the globe. We service small businesses and large companies and can develop any website, including e-commerce and custom website solutions. We have an impeccable client-retention rate and many of those people that start out as our clients end up being like extended family. Our customized analytics reports provide you with a detailed overview of how your site is performing online. With every step we take, you will be able to see how our services result in more sales and new customers growth. we will show you how to monitor all of this on your own as well. Here at Enleaf we pride ourselves on maintaining a collaborative spirit. We regularly interface with some of the webs most recognized companies in-order to stay ahead of the curve. We feel that learning is an investment both in ourselves as well as in our customers. This is why we have traveled both domestically and internationally in-order interface with companies like, Google, Twitter, Baidu, and others. We learn from the best in order to deliver a premium product to our customers. The knowledge we gain through these relationships and training events is rolled back into each and every project that we do so our customers are left with a premium product.